Los Angeles, CA – April Gold futures rose over $30 to $1756.10 an ounce on approval of a second bailout package for Greece that also caused the Euro to surge. Silver prices also climbed almost 90 cents to above $34.16 an ounce as the U.S. dollar index was trading weaker on Tuesday. 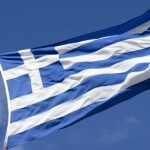 The second Greek bailout deal was reached in the early hours of Tuesday morning with a net worth of 130 billion Euros. The bailout package nets promises that the troubled country’s private sector creditors will only take nominal losses of 53.5%, with real losses around 70%. In addition, the Austerity measures planned are projected to take Greek debt to 120.5 percent of its Gross Domestic Product by 2020. “Now that the red wax seal is drying on the 130 billion euro package and the many strings that are attached to it, the markets can focus on the remaining troublesome items — banking sector problems and Greece’s own inability to avoid coming back to knock on the EU’s door for more assistance, at a later date,” said Jon Nadler, senior metals analyst at Kitco Metals. “There appears to be little doubt that in order for the country to bring debt down to 120% of GDP such further helps will be necessary. As things stand right now, if Greece is lucky, that ratio might get down to 129% by — 2020 or so.” He continued. 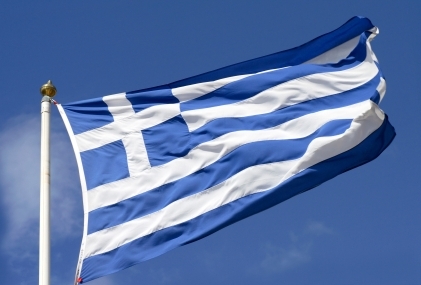 While European markets and the Euro are anticipated to rally in the short-term from the news, market fears that Greece may not be able to hit its bailout targets could cause more market turmoil and uncertainty in the future. The price of gold is also made gains on China’s decision to lower reserve requirements for banks. The People’s Bank of China made an announcement over the weekend that is was lowering its reserve-requirement by 0.5%, which was designed to boost lending. Some financial analysts believe that China’s economy could be slowing. Other “outside market” factors are also boosting gold, such as the U.S. dollar index trading lower and the price of crude oil rising up to $105 a barrel. Protect you wealth in times of International market turbulence and geo-political unrest; back your retirement account with gold and silver. Precious metals are tangible assets that work as a safe-haven investment against market uncertainty and inflation of the U.S. dollar. To learn more about how to roll over a portion of your IRA or former 401(k) into a Gold IRA or Silver IRA, please contact American Bullion today at 800-326-9598 or email us at info@americanbullion.com.